We focus on long-term capacity, building strategies and programs that support future generations of scholars, art historians and museum professionals. The Institute for Studies on Latin American Art (ISLAA) was established in 2011 in order to increase the visibility of Latin American art on a global scale. Since its creation, ISLAA has played an international role in fostering advanced research in this field. ISLAA sponsors LECTURES & SYMPOSIA given and organized by renowned scholars, contemporary artists, and graduate students. 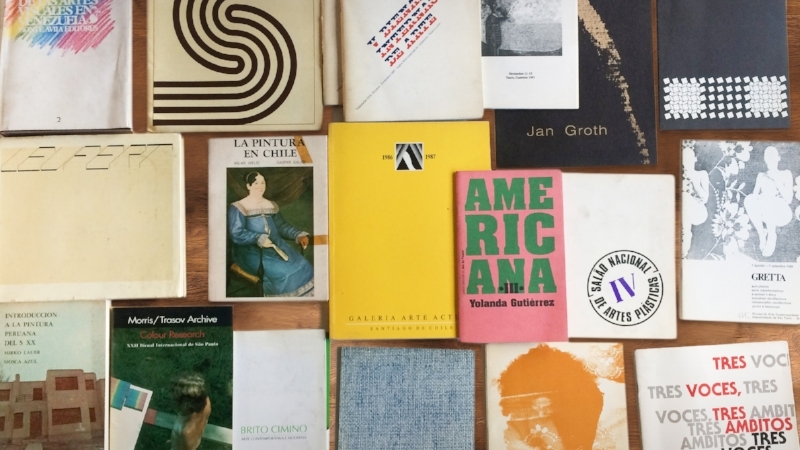 It supports PUBLICATIONS that include academic volumes, exhibition catalogs, and artist books, as well as ground-breaking EXHIBITIONS on modern and contemporary Latin American art. In addition, ISLAA has brought together an in-house design team to create POSTERS that serve as tangible, long-lasting testimonies of ongoing events in the Latin American Art sphere. As part of its ongoing efforts to preserve the legacy of artists from the Americas through different forms of media, ISLAA is pleased to present the film series 270. Based on interviews with Latin American artists, these art house short films help disseminate and preserve the cultural memory of its artists. ISLAA is honored to be the custodian of the legacy of Jaime Davidovich. The late New York-based, Argentine-born, conceptual artist was a pioneer of new media art that involved a relationship with its audience. The Jaime Davidovich Foundation is overseen by ISLAA and is proud to foster and manage Mr. Davidovich’s archive and vast collection of artworks. ISLAA also collaborates with Fundación I-D-A (Research on Argentinean Design) to contribute to the development of research on the heritage of Argentinean design, including industrial design, graphic design and textile design.